We were headed for Burlington, VT on Friday, but we had time to take a short hike along the way. 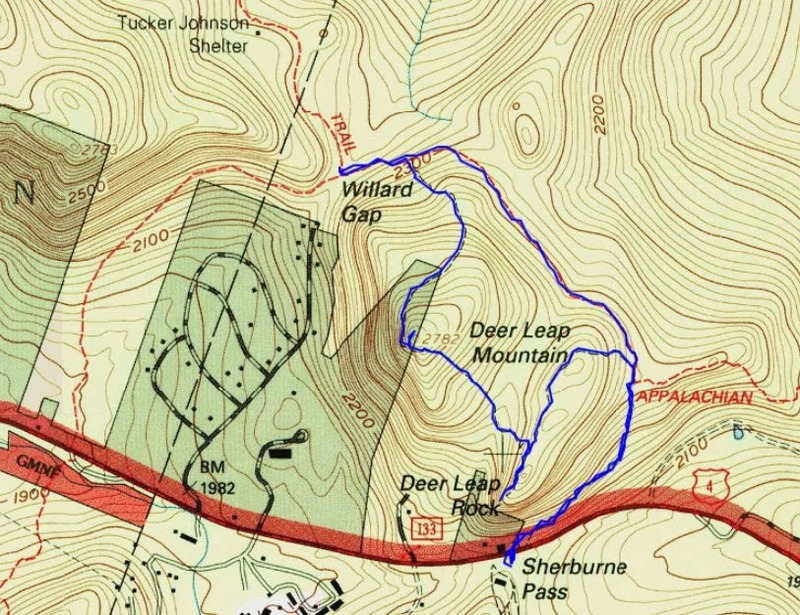 One that caught our interest was Deer Leap, which can be seen from Sherburne Pass. 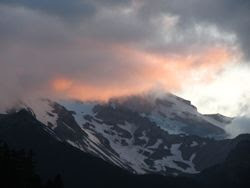 It towers over the pass and is an quick hike to a great view. It's certainly worth the walk though since the view is fantastic. We could see a little snow on Pico Peak across the way and snowmaking on Killington in the distance. From Deer Leap we continued on to Deer Leap mountain and then we headed towards the Tucker Johnson leanto, only to find a sign that it had burned down and is no longer there. 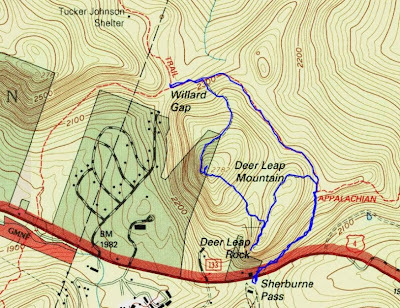 Since the leanto wasn't there we looped back around on the Appalachian trail to the trailhead to complete a nice 3.8 mile loop. Perfect for a little diversion hike on our way to Burlington.